University life opens up opportunities to make a difference in the community and learn new skills in the process. Lisa Hinkins, a first year BA (hons) History of Art & Design student, describes the enriching experience of volunteering for the Photoworks ‘Making it Happen’ project. I knew I had made the right decision to study at the University of Brighton after we had a few lectures regarding managing wellbeing and employability. Having left the world of work at the end of September, after twenty-three years of 9 to 5, some reassuring words that the university took student wellbeing and life during and after studying seriously were important to me, especially as I was taking tentative steps towards a new career in an area I have always been passionate about. In my former employment, the Waste & Recycling section of a local authority, the emphasis on volunteering was important for conveying the message of sustainability and recycling. My manager enjoyed bring university students into our hub, teaching and directing them, while also learning from them too. I picked up on this ‘positive feedback loop’ with how I managed and taught my volunteers for the scrap store I ran from our building. The volunteers not only gave valuable time to the store, but I was greatly enriched learning new art and craft ideas from them, while also discovering how interesting these people were. So, as a new student I embarked upon seeking out volunteering opportunities. My first step was meeting with Kat Tucker, Volunteering Project Officer for Active Student Volunteering Services. Kat has given me excellent support over the past 5 months, providing help and advice with applications for volunteering opportunities. My first placement was with Photoworks and was a month-long position in January under the banner ‘Making it Happen 2016’. 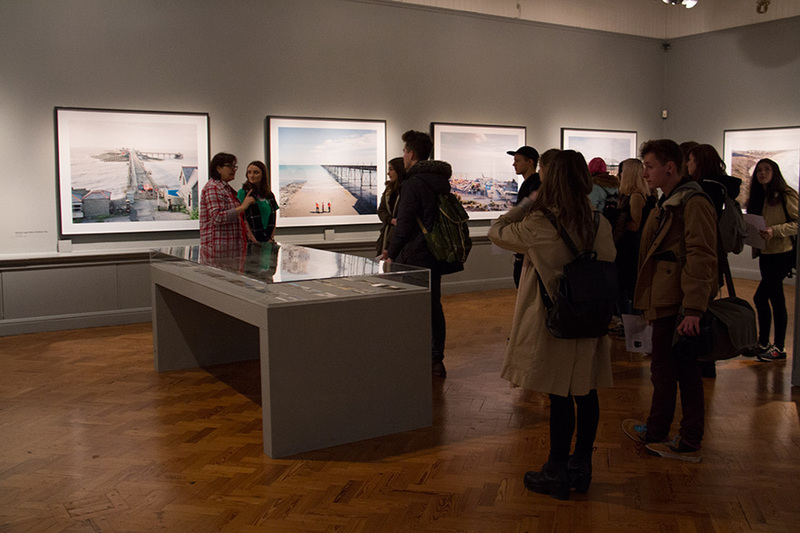 This was an open day to the University of Brighton’s Photography department for 16-18 year olds who may have not considered the possibility of university study before. 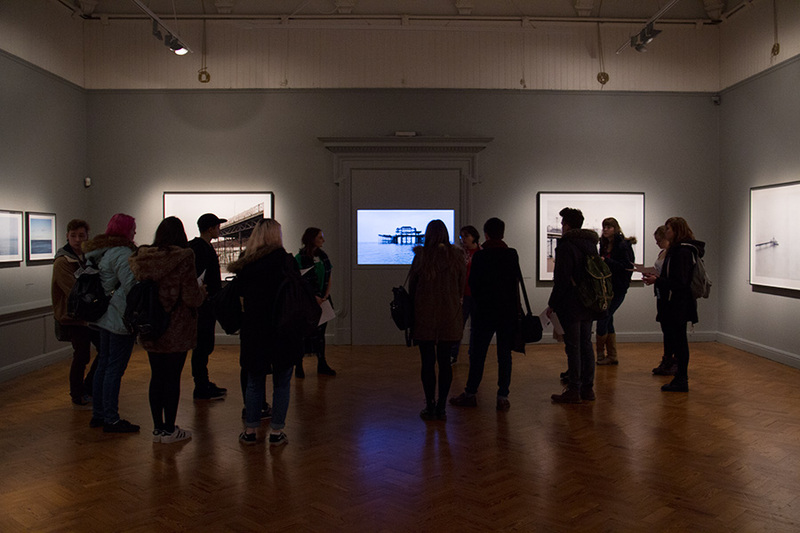 With five other students, we learned from photographer/artist Annis Joslin, how to plan and deliver photography based workshops with school students aged 16-18. I participated in a series of three hour training sessions led by Annis, which allowed me to learn skills needed to lead workshops. The requirements of the role were to have an open-mind and hands on approach to art and design and wanting to gain practical work experience in arts education. The group divided into pairs. 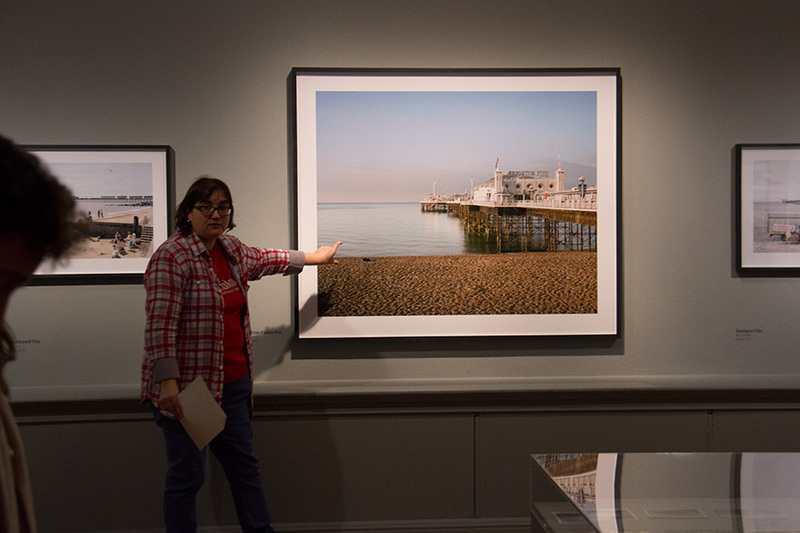 Myself and a fellow volunteer researched, planned and prepared workshops based at the Brighton Museum, around the photography exhibition ‘Pierdom’ by Simon Roberts. I learnt to work ideas up very quickly, get to understand new ways of working for community arts education and develop trust with other volunteers that I had only just met. We all had to lead one workshop three times during the day, with up to fifteen school students in each session. My workshop was titled ‘The Art of Looking’. I wanted the school students to spend time looking at the exhibition images and form individual ideas about them, working in teams discussing ideas together. This helped them to become confident in expressing thoughts from looking and reacting to the images and be able to articulate those thoughts by talking in front of other people. I used techniques such as word cards they had to blindly select from to stimulate ideas. I am now looking forward to receiving an interview date for my next volunteering opportunity. It isn’t just about what looks good on your CV, but how these experience can nurture your own thirst for learning, being creative and boosting your confidence.